Smith created special spaces for her pet dogs and cats and embellished their areas with patterning similar to that found on her religious paintings, as if to say, Lord, protect these animals. Smith created special spaces for her pet dogs and cats and embellished their areas with patterning similar to that found on her religious paintings, as if to say, Lord, protect these animals. 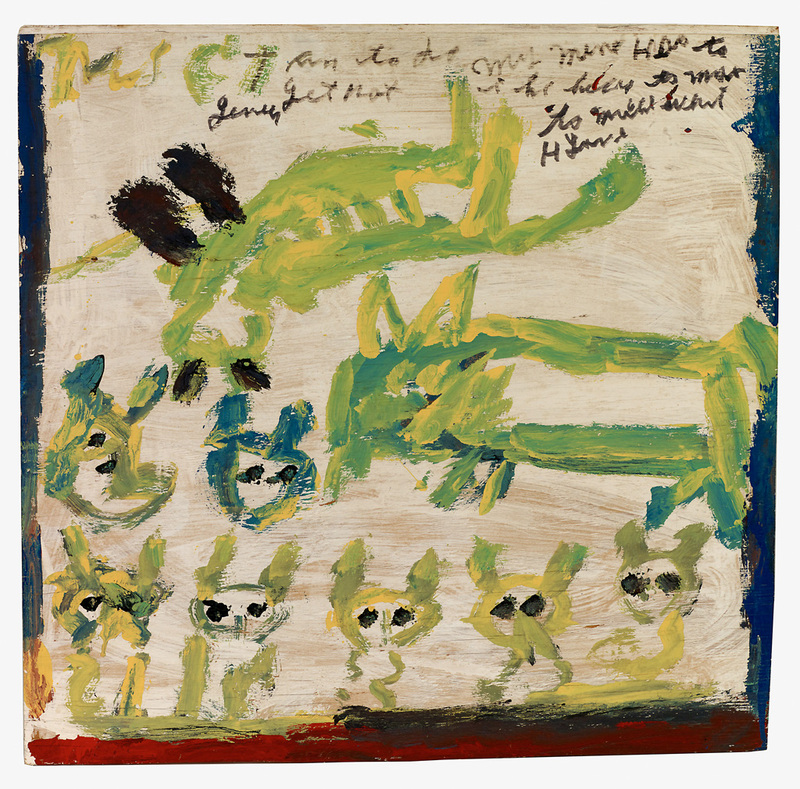 When a mother cat was unable to feed her newborn litter, Smith executed a painting of the animals with a written reminder to herself that she must not forget to buy milk for the kittens (My Mind Has to Do It).